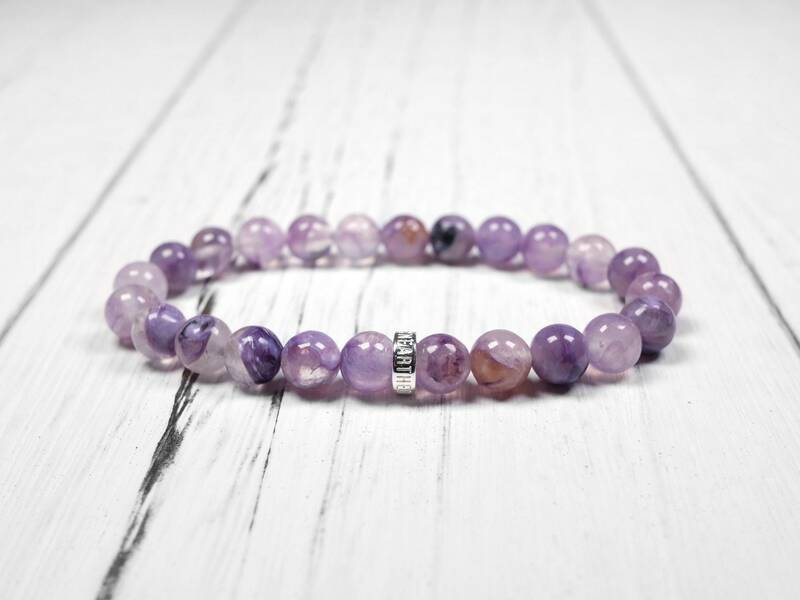 Charoite is known for its silvery pattern on the purple gemstone, but this one has a different look. 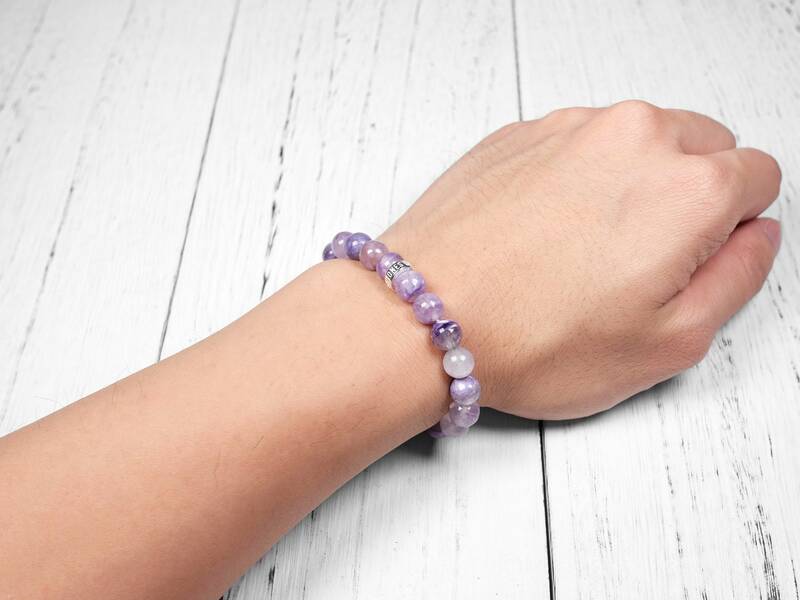 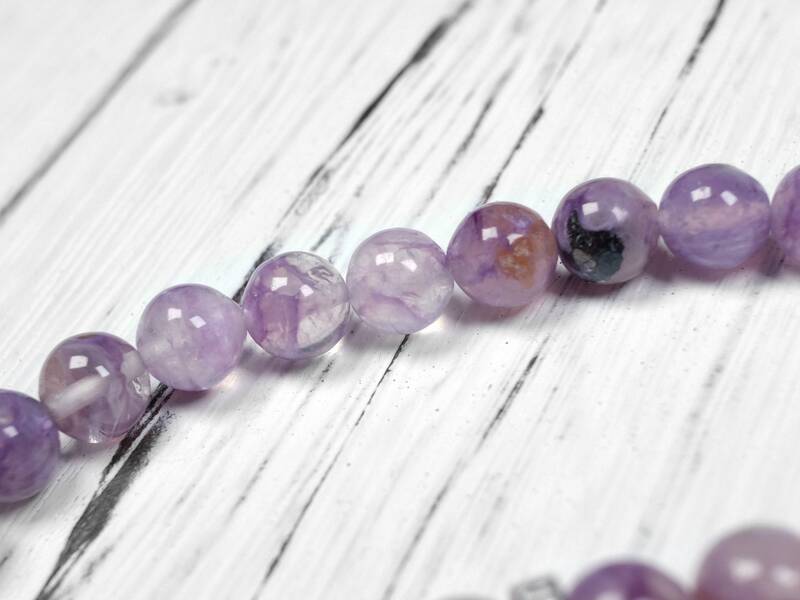 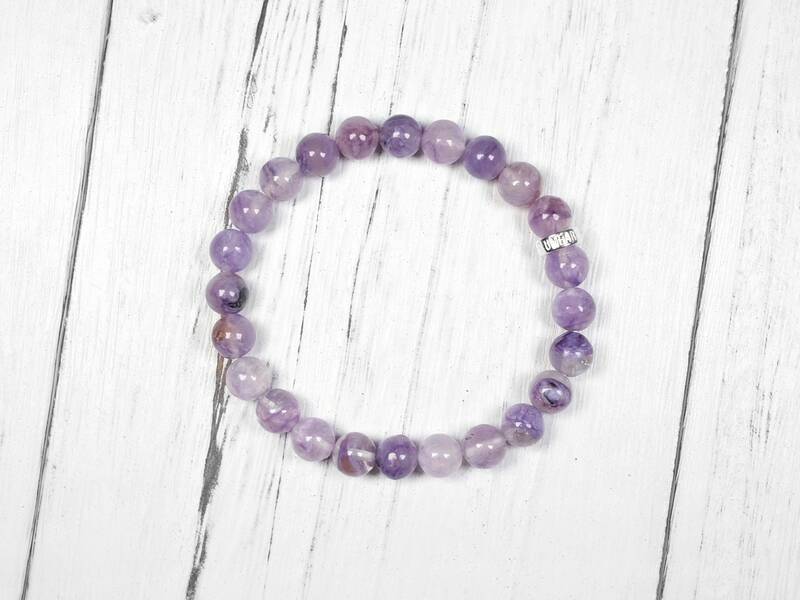 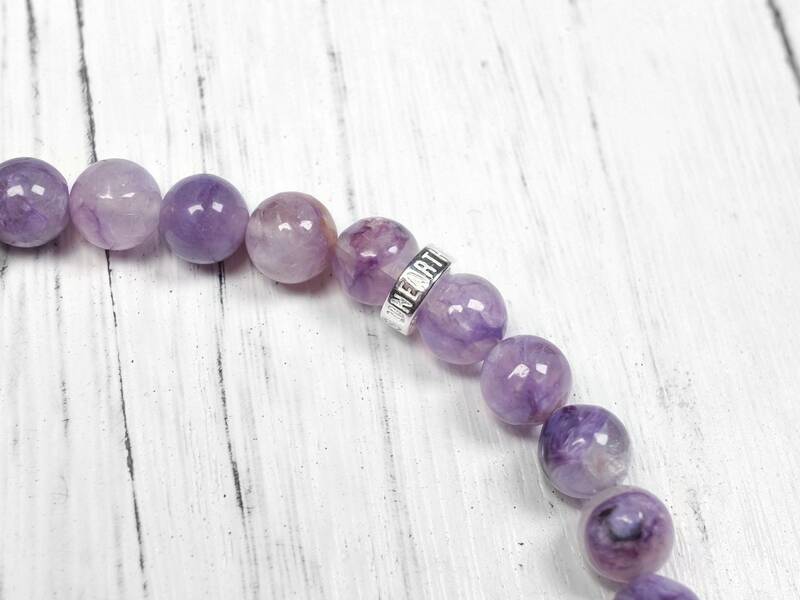 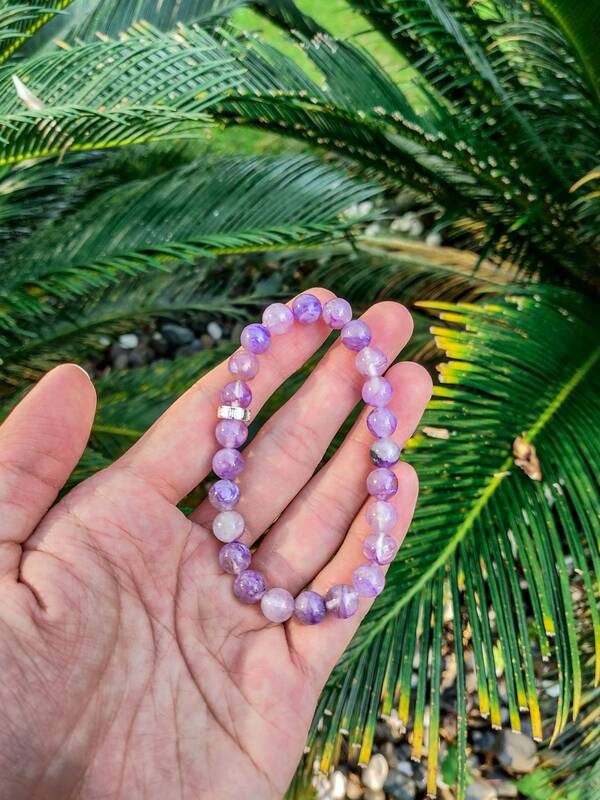 With its high translucency, you can see through most of the beads of this charoite. 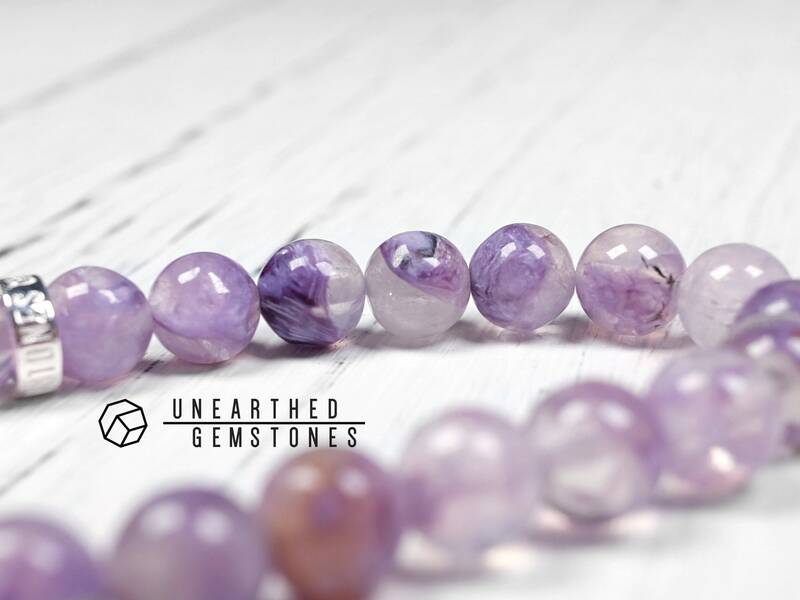 Yet still, it has some of the purple silvery pattern in the crystals, creating a unique looking gemstone. 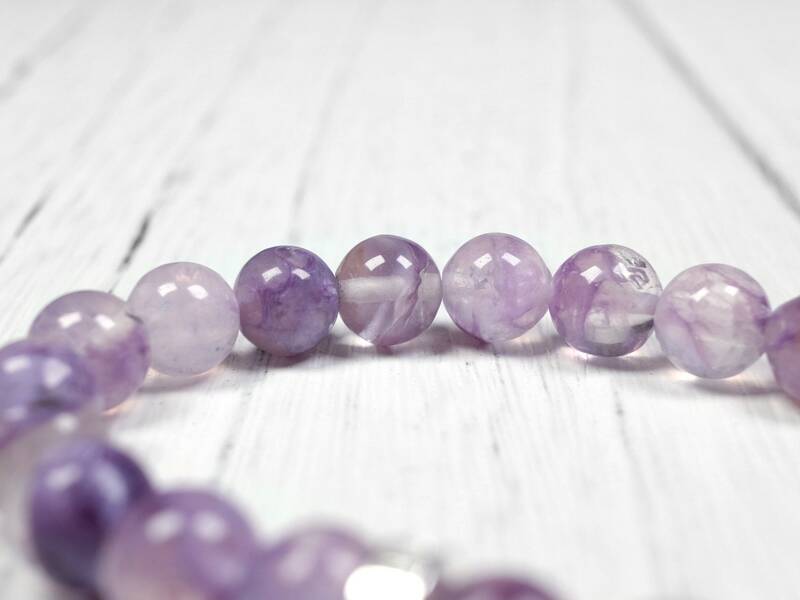 Quite a rare find and the quality is very good. 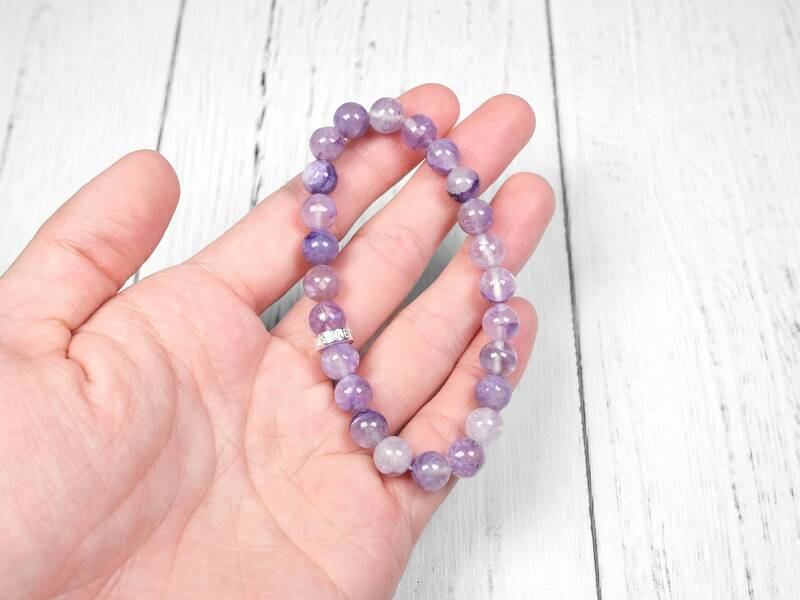 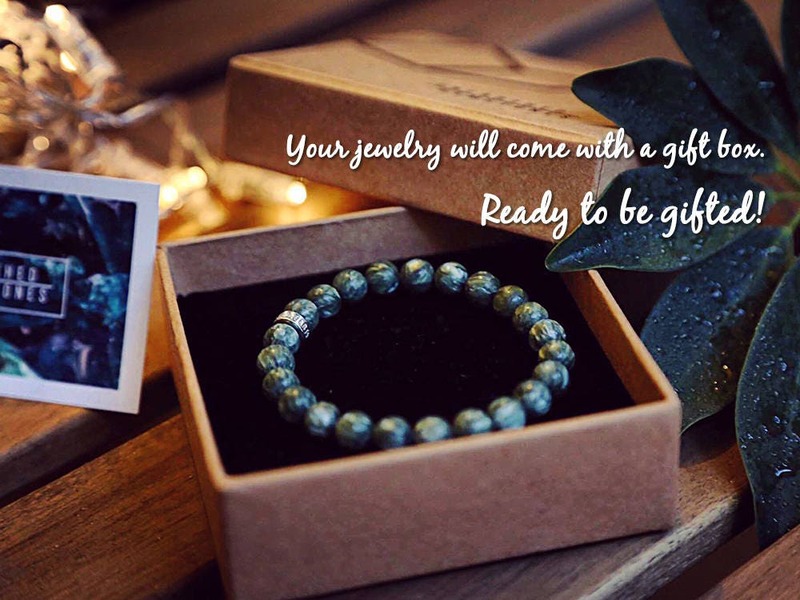 The gemstone is paired with the Unearthed Gemstones sterling silver for a modern bracelet.